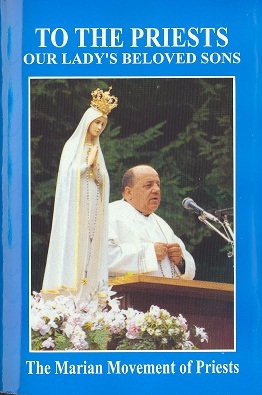 On the 8th of May 1972, Don Stefano Gobbi, an Italian priest, was praying in the little chapel of the Apparitions in Fatima, Portugal when an interior force urged him to have confidence in the Immaculate Heart of Mary, to gather all those priests who would accept her invitation to consecrate themselves to her Immaculate Heart, to be strongly united to the Pope and to the Church united with him and to bring the faithful into the secure refuge of her motherly heart. On Oct 13, 1972, anniversary of the miracle of the dancing sun in Fatima, together with two other priests, Fr. Gobbi formally launched the MARIAN MOVEMENT OF PRIESTS. In 1974, the first cenacles of prayer and fraternal sharing among priests and faithful took place. These gradually spread throughout Europe and every part of the world. By the end of 1985, Fr. Stefano Gobbi would have conducted 890 cenacles, of which 482 took place in Europe, 180 in America, 97 in Africa, 80 in Oceania and 51 in Asia, two of which took place in the Philippines. In these times of grave danger, the Mother of God is taking action to assist, first and foremost, the priests and, at the same time, the lay faithful who together form a powerful cohort. She does not emphasize human means of propaganda but helps with supernatural power which springs from silence, from prayer, from suffering and constant faithfulness to one's duties. There are three commitments which characterize the spirituality of the Marian Movement of Priests: consecration to the Immaculate Heart of Mary; unity with the Pope and with the church united to him; and the leading of the faithful to a life of entrustment to Our Lady. Thus, the Marian Movement of Priests is made up of priests and of the faithful who have committed themselves to live a life of consecration to the Immaculate Heart of Mary. They are not bound by any kind of juridical bond and can freely carry on their work within those ecclesiastical associations or home life to which they belong. How does Mary guide the Movement? What are interior locutions? They are very clear words perceived by the person who receives them as though they were being born from the heart and which, taken together, form a message. The summons from heaven is almost always unforeseen. It is the Lord or Our Lady, or the angels or the saints who take the initiative as regards the time and the content of the message. St. John of the Cross calls locutions "those distinct words which the spirit receives not from itself but from another person...” The messages of Our Lady to Fr. Gobbi have been compiled in a book "To the Priests, Our Lady's Beloved Sons" It is called the "blue book'' and used in Cenacles of Prayer as points of reflection. 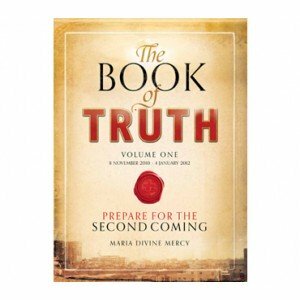 Beautifully written, Our Lady in the book explains the signs of the times we live in and in effect, forms the readers in the ways of her Immaculate Heart. Just as in the Cenacle of Jerusalem, the apostles reunited with me in prayer prepared for the moment of the first Pentecost, so also, in the cenacle of my Immaculate Heart and consequently in the cenacles where you are gathered in prayer - you apostles of these last times, can with your mother obtain a new effusion of the Holy Spirit. In her messages, Our Lady insistently calls upon priests, religious and the faithful to gather together with her in fervent prayer and fraternal love in authentic cenacles. Why this insistence? What is most important in the world today is the preparation for the SECOND PENTECOST through the triumph of her Immaculate Heart. To draw down upon this gift of the Holy Spirit, WE MUST ENTER WITH MARY INTO THE CENACLE. She calls us to form cenacles together with her among neighbors, officemates, family members, parishmates, with or without the presence of priests. We are challenged to multiply and spread these cenacles everywhere so that the Divine Spirit of Love may pass through the garden door of her Immaculate Heart and thus prepare humanity for a new era of grace and holiness. Why is the Cenacle Urgent? When the Pope [John Paul II] will have completed the tasks which Jesus has entrusted to him and I will come down from heaven to receive his sacrifice [John Paul II's death on April 13, 2005,], all of you will be cloaked in a dense darkness of apostasy [loss of faith] which will then be general. What has been foretold in Holy Scripture, in 2 Thessalonians, is now on the point of coming to pass... The times of the general confusion and of the greatest agitation of spirits has come...This great apostasy is spreading more and more, even through the interior of the Catholic Church ... There is a subtle and diabolic tactic, woven in secrecy by Masonry which is used today against the Holy Father in order to bring ridicule upon his person and his work and to neutralize his magisterium. The black beast is Freemansory...The seven heads indicate the various Masonic lodges which act everywhere in a subtle and dangerous way. This black beast has ten horns and on the horns, ten crowns which are signs of dominion and royalty. Masonry rules and governs throughout the whole world by means of ten horns...If the Lord has communicated his law with ten Commandments, Freemasonry spreads everywhere, through the power of its ten Horns, a law which is completely opposed to that of God. Thus, I am making use of you my little children who have consecrated yourselves to me, to unmask all these subtle snares which the black beast sets for you and to make futile in the end the great attack which Masonry has launched today against Christ and His Church. As a matter of fact, readers of the messages to Fr. Gobbi are taught by Our Lady how to read the signs of the times. The warning against freemasonry is very strong. Found also throughout the book are exhortations to prayer, suffering and Our Lady's call to form more cenacles of prayer. Thus you are already contributing to the forming of the New Jerusalem, the Holy City, which must come down from heaven, as a bride, adorned for her husband. And you are forming the dwelling place of God among men, that all may become His people, where every tear will be wiped from their eyes and there will no longer be any death, or strife or mourning, or anguish because the former things have passed away. Click here to return from Marian Movement of Priests to Catholic Spirituality.